It is our light, not our darkness, that most frightens us. We ask ourselves, who am I to be brilliant, gorgeous, talented and fabulous? Actually, who are you not to be? You are a child of God. Your playing small doesn't serve the world. There's nothing enlightened about shrinking so that other people won't feel insecure around you. We were born to make manifest the glory of God that is within us. It's not just in some of us; it's in everyone. And as we let our own light shine, we unconsciously give other people permission to do the same. As we are liberated from our own fear, our presence automatically liberates others." Let your light shine today, my friend! The world needs you! 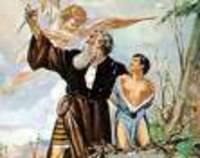 The story of the testing of Abraham in Genesis is rich with symbolism. Let's look at the metaphysical interpretation of this story and see how it may apply to you personally. Pick up your Bible and go to Genesis 22 and read verses 1-18. The literal story is powerful in and of itself. Abraham's wife, Sarah, has given birth to Isaac, his only son. He is later told by God to go to Moriah where he will sacrifice Isaac. He has such total faith in God that he is willing to do this. But at the last moment, God provides a ram and tells him not to slay his son. In our own lives, sometimes we may feel that we are going to Moriah when we begin to follow the spiritual path. There can be unpleasantness and challenges. Our faith may be tested. Abraham (our activated and growing faith), cimbs a mountain, in other words, as our faith grows, our spiritual consciousness increases. It is revealed that we do not have to sacrifice the joy (Isaac) in our lives to follow the spiritual path. God does not want our lives to be unhappy and joyless. What we do need to sacrifice is our "strong, unredeemed thoughts of the physical world". What might that represent? To me, that represents getting caught up in physical appearances, the dramas in life and the materialism. God wants us to be in the world but not of it, as Jesus was. See how a beautiful Bible story can become even richer and more personally meaningful when we look at the metaphysical meaning? When people begin to study the Bible in-depth, they start to see that there are some inconsistencies and discrepancies. If they have come from a fundamentalist background and were taught that the Bible is the "word of God" and thus totally infallible, it is a shock. It is like in the Wizard of Oz, when Toto pulls down the curtain and exposes the Wizard as the sad little man that he is. The Bible is a collection of books written by different human beings over the course of several hundred years. These individuals were inspired, but they also were affected by the cultures and times in which they lived. That can't help but be reflected in their messages. We must also realize the differences in the audiences for which they were writing. Consider the fact that there are two different creation stories in Genesis. Which one do you believe? And what about the fact that there are three different versions of the Ten Commandments? Then there is the statement of Jesus about cutting off your hand if it betrays you. Did Jesus really expect us to amputate a body part because we used it to do something wrong? Of course not. When one looks at the Bible from a metaphysical and symbolic standpoint, the contradictions and inaccuracies no longer matter. The meaning in the scriptures is found below the surface and is not always as obvious. It requires a different understanding. Not that the Bible doesn't have wonderful stories that provide powerful ethical teachings; but the stories become even richer when we interpret them metaphysically. We begin to see that these stories are really about us and our own evolution in spiritual consciousness. The most respected seminaries around the country--Yale and Harvard included, teach their students to look at the Bible symbolically. 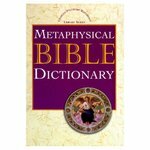 There is a book called the Metaphysical Bible Dictionary by Charles Fillmore (see Recommended Books for ordering). It is a phenomenal compilation of the esoteric meaning of words, names, and places. As you read the Bible and look up words, you will be amazed at how the stories come alive for you in a new and exciting way. It is like finding the answers to a great mystery. In my next post, I will share a Bible story and look at the metaphysical interpretation. I just finished an amazing book called "A Change of Heart." 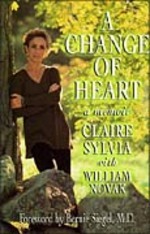 It is the memoir of Claire Sylvia, the recipient of a heart-lung transplant back in the 80's. It is inspiring and, for some people, a mind-blowing look at how organ recipients are affected by their transplants and donors. Right after her surgery, Claire found she had an unusual craving for beer and Chicken McNuggets, things she had never been interested in before her transplant. She later learned from the family of the donor that her organs came from an 18-year old boy who loved both. In fact, they said "Tim" never drove by a KFC without stopping for McNuggets. There were a number of other changes that occurred after Claire received Tim's organs that she was later able to confirm were linked to Tim. You may feel that this is coincidental and shrug it off, but studies have shown that Claire is not the only transplant patient who has had this experience. It is common. Why does it happen? There are many theories. One theory is that our cells have a consciousness and memory of their own. Cells have intelligence, can reproduce and grow and responds to stimuli of all kinds. In a research study, cells were scraped from a person's mouth and attached somehow to a machine which recorded reactions. When the donor of those cells was exposed to a situation which brought on extreme emotions, the cells reacted, even though they were no longer in that person's body. If cells are intelligent and perhaps have a memory of their own, then it would seem natural that transplanted organs made up of millions of cells, would transfer memories. 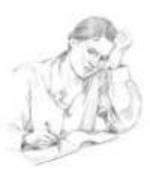 Those who have experienced this phenomenon have reported that these transferred memories or changes in preferences, faded over time or were gradually incorporated into the person's life to where they felt natural. Life is complex and very much a mystery. Our bodies and minds are so remarkable that we are discovering every day new and exciting things about them. We are an incredible creation and only using a fraction of the capabilities that we were born with. As the scientists say, the average person only utilizes 10% of their brain's abilities. Imagine what we will accomplish when we learn to tap into and utilize the additional 90%. Another thing to consider...if you've not signed the back of your drivers license to be an organ donor, why not do so. And tell your family so they will know your wishes. Claire Sylvia is alive because a family made the decision to reach out in their grief and help someone else. If you are interested in purchasing the book, "A Change of Heart," click on the Recommended Books link to Amazon. If you are a subscriber through Feedblitz or Feedburner, you will need to click over to the blog first using the underlined link above. I'm offended and appalled by this woman's comments and attitude. Matt Lauer was also disgusted when he interviewed her on the Today Show. Many believe that she went too far. It wouldn't be the first time. She has been fired from a number of jobs for her unprofessionalism and mean-spiritedness. Ann is a conservative pundit, a commentator who is paid to be outrageous. She has an undergraduate degree from Cornell and a law degree from the University of Michigan. She has worked as an attorney and served as a congressional aide. Ann is clearly very bright, but in my opinion she lacks common sense, compassion and sensitivity. 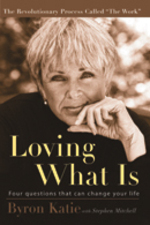 Ann describes herself as a Christian and in another interview this month claimed that "Christianity fuels everything I write." What? Would a Christian make the the comments that she made about the September 11 widows? Many people call themselves Christians, but they are not followers of Christ. They don't live by his teachings. The saddest thing of all, however, is that Ann Coulter's book was number one in ratings last week. People are spending money to read the sarcastic and hateful comments of a woman who has said that the deceased person she admires most is Senator Joseph McCarthy. In Godless she accuses American liberals of acting in an unpatriotic manner and hating both God and their country. As a progressive (I prefer that to liberal) Christian minister who loves God and my country, I take exception to that. For her to make a comment such as this is as ridiculous as saying that all blondes are dumb, and I know Ann would never make that assertion. Well, friends, I saw The Da Vinci Code yesterday with my husband. I had heard mixed reviews about the movie but regardless, I found it to be very entertaining. And the information included is factual, for the most part, according to the Biblical research that has been done. I think that people will find it fascinating how the symbols of pagan religions ended up in Christianity. The Catholic church has called for a boycott of the film and that seems rather funny. The Catholic church, with all its power, is afraid of a 2 1/2 hour movie and its ability to affect people's faith. Yes, the movie portrays the Catholic church in somewhat of an unfavorable light--but it is mostly Opus Dei, a mysterious off-shoot that receives the focus. The movie does point out the history of the Catholic church in trying to maintain control of the beliefs of its followers, but control has been a central theme of religion for centuries. The history of how the Bible was compiled is shared in the movie and this is good, in my opinion, although it may be disconcerting for Christian fundamentalists. For those who believe that the Bible is the literal word of God written on stone tablets, the movie will probably be seen as heretical. For most modern believers and Bible scholars, the story of how the books of the Bible were chosen to be included will not be a shock. We live in an age where politics is involved in everything, and that has surely been true of the Catholic church and most churches. That a group of somewhat prejudiced men got together and decided to include books that presented a patriarchal and male dominated view of Christianity does not surprise me at all. Does it you? As far as the idea in the movie that Jesus was married and had children...well, we shall never know if that is true or not. But my question to all believers is this--what does it matter? Jesus was human as well as divine. Would it have made him any less of an inspiration to us if he had loved someone so deeply that he chose to marry her and have a family? We all must come to our own conclusions about Jesus--who he was and what he meant to us. But regardless of what we believe, I think Jesus would have liked us to follow his teachings to the best of our ability. And perhaps that is what we should focus on and not spend a lot of time arguing about movies. Why is this happening to me...again?! When I was in my 20s I seemed to always be attracted to men who were unable to commit. They played games with me and did not return the same affection that I felt towards them. When the relationship ended, I would go on to a new one, only to find that the same pattern would occur. At first I didn't get it. Well, I'm just not that lucky, I rationalized. But later I began to realize that there was something else going on--and it was more about me than it was about them. When we begin to notice a pattern in our lives, it is the Universe trying to get our attention to tell us something is wrong. Generally it has to do with our choices. There is a saying..."When you always do what you've always done, you'll always get what you've always gotten." If we always find ourselves being a victim or the one being left by a lover, then it is time to take a look at our beliefs. What do we believe about life? And more importantly, what do we believe about ourselves? For me, it was about my feelings of unworthiness. I had been molested when I was a little girl and the feelings of shame and guilt that I felt for what occurred impacted my self-esteem. I had to begin to like and respect myself before there was a change in my relationships. If you find yourself wondering..."Why is this happening to me again?" Ask yourself: Is there a lesson that I have not learned? What do I need to change about myself to create new outcomes in my life?